• Tightly focused direct mail programs sending “try us” offers to specifically targeted groups of consumers. We drive your best potential customers to you by placing the real value of a beautiful gift card directly into their hands. • Sampling programs targeting large numbers of consumers with a solid reason to visit and try your business, usually to take advantage of an attractive discount or “freebie” presented in a gift card format. These marketing tactics are inexpensive to execute, successful at driving new traffic and terrific for increasing revenue. 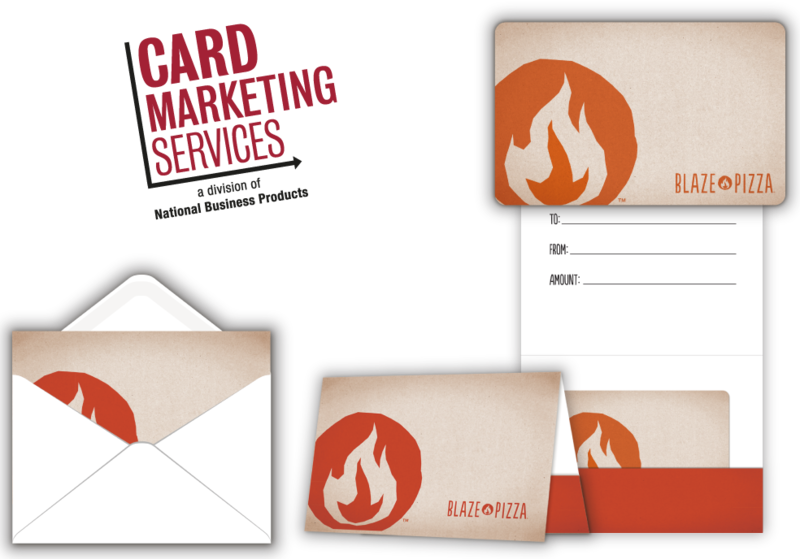 • Eye-catching, effective gift card designs, sales displays and collateral material that put your gift and stored value cards front and center while customers are in the buying mode. Last year over 59 percent of consumers purchased at least one gift card and even more said they would rather receive a gift card than merchandise. • Tie loyalty and rewards directly to your POS platform, making setup, administration and ongoing accounting tasks easy to learn and easy to execute for all your employees. • Give you and your customers options to allow direct on-line signup or handle input collected manually on site. It makes joining the program fast and simple. • Provide ongoing maintenance of your database — scrubbing, purging, updating and managing lists as needed to make them a productive sales tool. • Leverage the power of your database, mining it for demographic and usage information in order to effectively deliver to the target groups you need for specific customer offers and sales promotions. • Automatically send e-mails that tie directly to your sales needs, including such items as birthday offers, anniversary offers, special points programs or product purchase offers. • Provide e-newsletters, surveys and other creative tactics that can maximize involvement and generate response from your loyal customers. • Annual, quarterly and monthly program planning that provides you with promotional schedules that fit your particular business and industry models. • Strategic and tactical advice based on years of hands-on marketing experience in industry segments from hospitality to manufacturing to retail to financial. • Integrated creative services from card, point of sale collateral and direct marketing designs, through web presentations and ongoing e-mail campaigns. • Approvals are always required from you before any communication with your customers is made or any of your budget dollars are spent. You’ll know quickly what drives sales and what doesn’t in your promotional efforts. Our goal is to track precisely what worked, when, where, how much and why. • Return on Investment (ROI) is always the critical measure in any business proposition. Ours is no different. • Measurement allows us to make changes quickly if needed to maximize the program’s success. It also allows us to recognize with confidence when to apply more resources into a productive program. • Accountability puts us on the line along with our customers. We plan and strategize like business partners as well as serving as advertising and marketing advisors. CMS truly wears both hats.